ShawnCuthill.com: Only the Injil v4 - Temple Tantrum!! Recently I became a 30-something, which at first glance was quite depressing. There has been, however, one sweet consolation - I am now in my 'Jesus years'. These years in Jesus' life (between 30 and 33) were powerful, dynamic, miraculous and ultimately led to the greatest grass-roots revolution in human history. Realizing this, I picked up my Reese Chronological Bible and each day, for the next 3 years, I will seek to read about exactly what Jesus was doing at my age! This edition of 'Only the Injil' focuses on Jesus throwing a 'tantrum' in the temple at Jerusalem. Last time we focused on how he built momentum for his movement. This time we want to look a bit at the what he does when he's got the audience. > Jesus @ 31 years & 2-4 months old - The stage is set as Jesus approaches Jerusalem. Everyone will be there. Everyone will remember him. This is his chance to make his first impression - what will he say? Will he make a loud speech about God's love, announcing to everyone that salvation is here! Or maybe everyone would simply recognize him from John's baptism so he won't even have to say a word, just let his lifestyle speak for him. What is the first major thing Jesus wants to personally communicate to the masses? I wonder what you or I would say if we had that kind of chance. A captive religious audience. Pilgrims gathered from all over the country with their hearts set on worship. This must be the holiest time of the year, the very heart of the jewish religious experience. Surely Jesus will use this opportunity to preach a 'sermon on the mount' type message. Something memorable. Love your neighbour stuff? An exposition on worship? A parable maybe? Something that would glorify God? What Jesus does as he enters Jerusalem is so important I'm going to go on a bit about it. I might even have to make 2 posts. In the past few months of his life Jesus has gone from a little village carpenter to provincial phenom after being baptised by John. Now he will go from being whispered about to being fully revealed country-wide as his revolution begins! What we see next is the true heart of Jesus. Mark my words. This is the heart of Jesus revealed. John 2:14 states that "he found those that sold". He found them. I think Jesus was on a bit of a witch-hunt here. But not for the money changers. They were just bait. A decoy. Jesus shows us what his revolution is going to be all about. I think he went to Jerusalem (since he knew everything) with the specific intent to cause a commotion and make a point. And it was not so much about the guys selling in the temple. And I think he did it with a purpose. 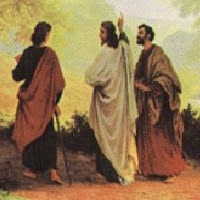 Too often we think of this story and give Jesus a mulligan. Oops, he got mad, must have been a divine mistake. Or "hey, it's Jesus he's allowed to get upset" not understanding the true intention of Jesus' heart. Yes he was ticked that people had turned the temple into a farmers market but that is not the point of this whole exercise. Think about it. He could have showed up any Tuesday there was worship and overthrown a few tables making a smaller scene. But I believe Jesus wanted to make a big scene. I believe he wanted to make the biggest scene possible. I believe he wanted to make a big statement about who he is and what he was all about and he's using the money changers simply as bait to pick a fight with the people he really wants to overturn. Overthrowing tables was simply a way to get everyone's attention and say to everyone what was on his heart. As Jesus begins his temple tantrum the religious elites take the bait. I think this was his plan. I think he turned over the tables just to get their attention and get a reaction which he could respond to. Their reaction is (John 2:18):“What are you doing? If God gave you authority to do this, show us a miracle to prove it?" Translation: "Who the hell do you think you are screwing up our religious ceremony!?" Have you ever had this experience? Have you ever got a bit agitated when some bumbling outsider made a mess of your carefully organized religious ceremony/worship service/conference. The immediate response is usually "get lost, can't you see there's something important going on here". Jesus has made a mess of their biggest religious feast of the year! This is the holiest moment in their religious calendar! You can imagine the scene. Shattered tables, coins and livestock cover the ground. This is not appropriate! They are not happy about it! What will Jesus say to them as they ask for an answer? Pilgrims from all over the country are listening. Why did he do this? Jesus takes the opportunity to lay down his manifesto for all to hear - "Destroy the temple" are the first words out of Jesus mouth (John 2:19) . Destroy the temple!!! Did he just say destroy the temple?? What a horrible blasphemous statement to God's chosen people, on the holiest day of their year! "Destroy the temple? It took us 46 years to build this temple! This temple is a pinnacle of all our religious efforts and pride. We love this temple. We would never destroy it. Instead we are going to destroy you for speaking against our holy religious symbol. We love our religion. We love our temple. Who do you think you are! "My job description" Jesus is saying "is to destroy your religion so you can really know God." Destroy it. I'll rebuild it once it's gone, but it has to be gone. The things you love. The things you cherish the most. Lay down your temple and take up your cross. What does that mean for me and you? What do we need to destroy so we can hear God clearer? What do we need to dismantle so Jesus can 'rebuild' true faith inside us? Jesus says that his job is to destroy religious ceremonies/festivals/worship/temples in order for us to have nothing so he can rebuild us. If this is difficult to accept think about it - this is what got him killed in the end. This very statement that he would destroy the temple. If he was just upset at selling in the temple the story would have ended there, all the jews would cheer because he had cleared away the riff raff and then Jesus would be made King of israel. But that is not his point at all! The money changers are secondary to the primary message of destroying religion. I would suggest that the reason Jesus spends so much time with sinners & tax collectors is not becuase he felt sorry for them. It is because he knew that they understand God better than the holiest religious person. Are you with me here? The worst sinners have no religious baggage, no 'temple' that needs destroying. They can see clearer than the most righteous person who is blinded by his religious views. Jesus knew that the sinners & tax collectors hear God without filters. And so, before he embarked on a life of helping the poor, the needy, the prostitutes, he had to bust some serious religious chops! I think what Jesus wanted to personally communicate to the masses in Jerusalem was that religion is blinding you - turn back to God. That is his message for you as well. Your religious meetings, bible studies, conferences etc etc have become a stumbling block to really hearing and understanding the message which he delivers next in the synagogue (Isaiah 61:1-3). If you are a Christian think about that in your church life. Your years of church are actually keeping you from God. Your patterns of worship are actually keeping you from truly worshiping. Jesus is telling you to clean the money changers out of your life. Do a religious detox. Destroy and He will rebuild in three days. It took the jews 46 years to encase their religious traditions. Jesus says destroy it and very quickly, only 3 days, He will rebuild. What an amazing promise. Rebuild your religious thought patterns. Rebuild your habits. Rebuild your views. If you are not a Christian, you have the greatest opportunity to experience God without religion! The revolution of Jesus would welcome you to it's protest against organized religion and full persuit of God! The Salvaiton Army is a good example of this. A few nutbars named William & Cahterine Booth built a revolution with teenagers, outcasts, rejects and peverts that truly demonstrated the heart of God. They were the 'hand to man' helping the poorest of the poor. a) John 4: 45 - The Galileans believed because of this. Obviously I haven't even scratched the surface with this topic. Obviously there will be alot of confusion. Feel free to leave comments and i will try to explain more of what I mean. This is just the first part of Jesus' manifesto. This one was in the temple. The next one is in the synagogue. Same result both times - religious people completely furious! Jesus & sinners - 2, Religious People - 0. Who's side are you on?